So here’s another instalment in my “do damage to your liver” posts. But only if you overindulge... This time it’s blueberry's turn on the floor. I thought I would post because after strawberry season (I did a strawberry liqueur post earlier) the blueberries are soon to follow. Local berries will be arriving within the next month. Icelandic Currency Collapse, using Icelandic vodka. 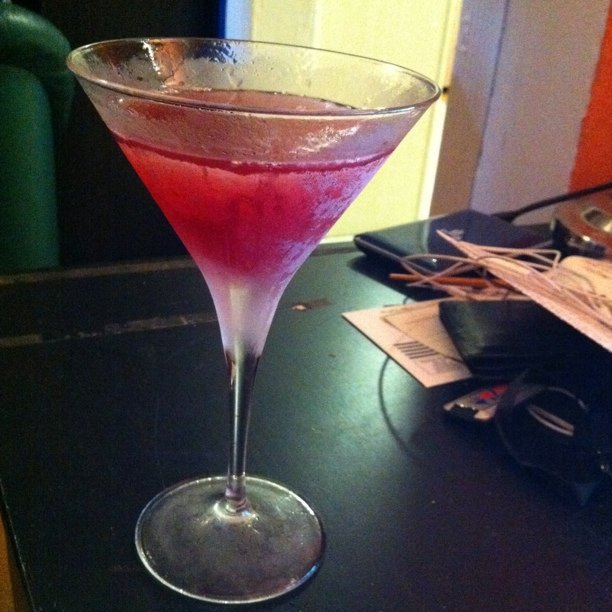 Vodka, triple sec, blueberry liqueur and lime. There are two different blueberry types. 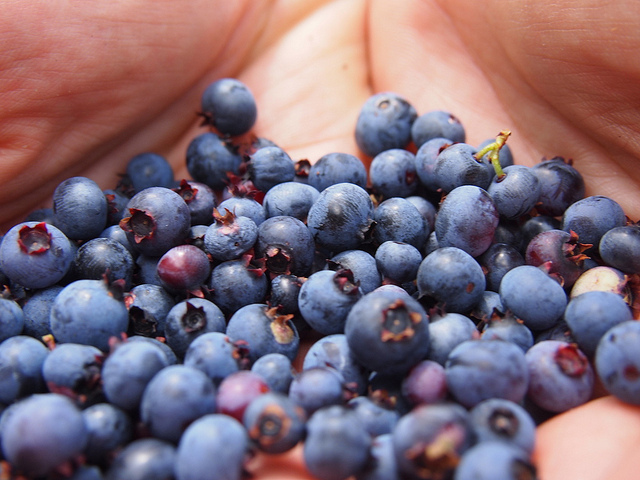 The most common are high bush blueberries which are available all year round in the grocery stores. They range up to 5/8 inches or more across. They’re big. I find they sacrifice flavour for size, as opposed to the smaller, wild, uncultivated blueberries which are quite small. Nova Scotia has a well organized wild blueberry production system and its economic impact on the province is not insignificant. It is so important that the wild blueberry is legislated as our provincial berry. There are many producers located in diverse areas of the province. They even have their own association, the Wild Blueberry Producers Association of Nova Scotia. The following info is from their site. Look here, http://www.nswildblueberries.com/ for more information about wild blueberries as well as recipes from the Association on how to use them. Now, on to the booze. Many recipes call for steeping the fruit for up to four weeks directly in the liquor, but who wants to wait that long? Also I find liquor-steeped berries a bit gross as the colour leeches out and they turn "grey." This recipe uses a fruit/syrup infusion that is then combined with the vodka. You get all the flavour and colour, without the lengthy direct steeping. 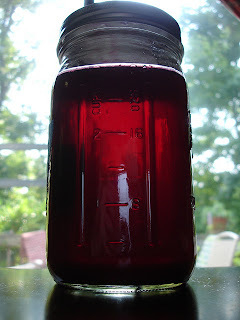 This liqueur should age a week or two after making it since the flavour of the berries is a little delicate in relation to the vodka. So it’s a 2-3 week recipe, if you can wait. It won’t kill you if you use it before that time. Wash the fruit and place in a non-reactive bowl such as glass or ceramic. Crush the fruit with either a fork or masher. Add the lemon rind. Combine the sugar and water and bring just to boiling. Remove from the heat and pour over the berries and lemon. Cover with plastic wrap and place in the refrigerator for one week. At the end of the week, strain the blueberries through a fine mesh to remove any solids. Add the vodka and decant into a bottle. Seal and let sit in a dark spot for a further two weeks.